Will Tattoos Cause Skin Cancer? Tattoos are more socially acceptable and popular than ever. 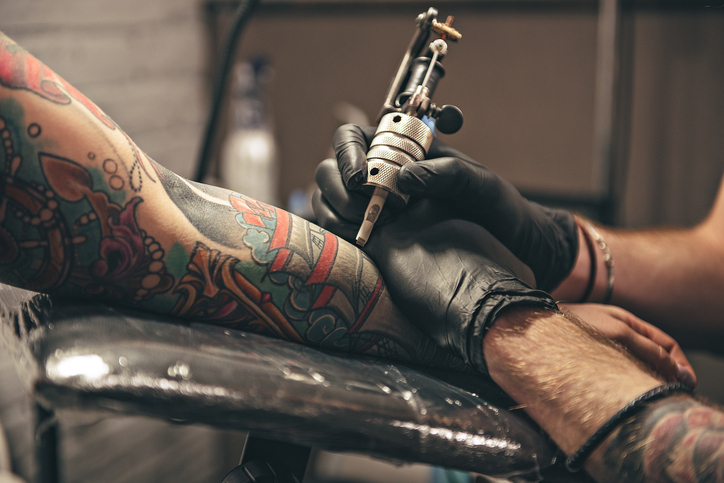 While some sub-standard tattoo shops pose a risk of infections or other problems, the vast majority of tattoo parlors are reputable, high-quality businesses, making tattoos easy and safe to get. But if you’re considering a tattoo, you may be asking yourself: do tattoos cause skin cancer? If I get a tattoo, will that increase my risk of skin cancer? At Orange County CyberKnife, we strive to be a comprehensive resource for cancer care, so we want to shed some light on this question. Is There a Link Between Tattoos and Skin Cancer? Thankfully, this question has a simple answer: no! Tattoos definitively do not cause skin cancer. According to the Skin Cancer Foundation, dermatologists have been investigating the link between tattoos and skin cancer for decades, and there is no evidence that tattoos in any way raise the risk of skin cancer. This is true both for patients who have never had skin cancer and who have had skin cancer. While a previous instance of skin cancer raises the risk, tattoos have no effect. That said, there is one thing to keep in mind when it comes to tattoos and skin cancer. Even though tattoos do not cause skin cancer, you should never get a tattoo covering a mole. One of the most effective ways to detect skin cancer is to watch for moles with discoloration, smudgy borders, or especially moles that change over time. Tattoo ink can obscure the border of the mole, making it harder to detect these changes. This can prevent early detection of skin cancer, which could be extremely dangerous. Melanoma is almost always entirely treatable when caught at an early stage, but advance melanoma is much more difficult to treat. Because of this, you should make sure all tattoos are well clear of any moles you have. We hope you found this information helpful, and if you have more questions about risk factors for skin cancer or cancer in general, we’re always happy to help. Feel free to call us at 714.962.7100 with any questions or to schedule a consultation for cancer treatment. We look forward to hearing from you, and we wish you luck in living a sun-safe lifestyle and staying skin cancer-free.